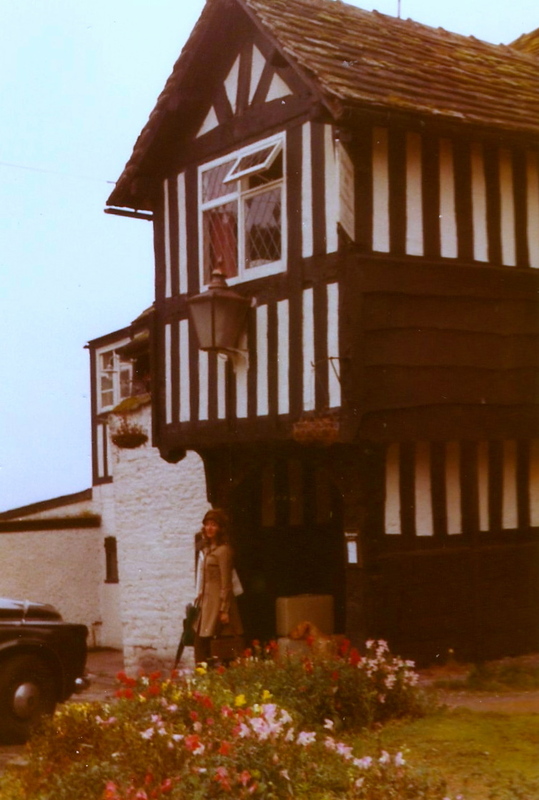 When I was a student, I traveled with my best friend, Andrea, through England, Cornwall and Wales. We didn’t have a fixed itinerary, we just followed our nose to places we had read or heard about. We didn’t stay in hotels (only once, and that was as dusty as it was expensive), we preferred B&Bs, always looking for interesting old buildings. We slept in grand manor houses, rustic inns, cozy farm houses, and even a water mill from the sixteenth century. People always complain about the English food – I never had a really bad experience, I would always find something I liked, as long as it started with “apple” and ended with “pie”! We often ate in pubs, having sandwiches with cheddar and chutney, and I was delighted to try the different beers. With all these fond memories in mind – no wonder I wanted to try master baker Dan Lepard’s Alehouse Rolls. 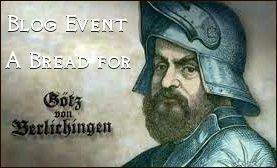 You will find it in his book “Short and Sweet“, or here. I had just bought Newcastle Brown Ale at the Bangor commissary, and thought this was very appropriate for British rolls. 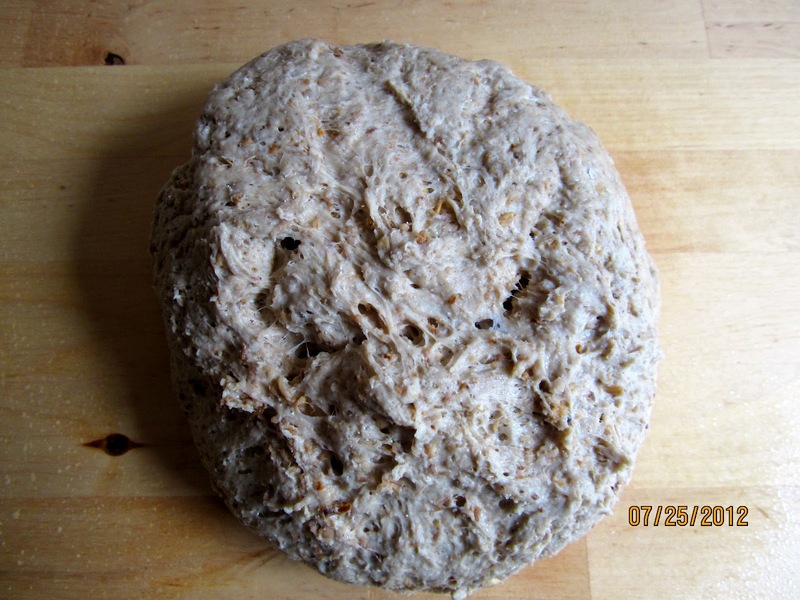 The dough is made with a hot beer soaker – ale and oats are brought to a boil, with butter and honey added to the hot liquid – and the rolled oats are toasted. Dan Lepard has a nice, minimalistic approach to working the dough, he handles it gently, kneads it very briefly, and allows it to develop while resting (autolyse). As a psychotherapist this method appeals to me a lot: give the patient dough the means and time to develop, without pushing and hectoring – and it will grow just fine! At different times I had to add varying amounts of water to the final dough, the consistency should be soft and somewhat sticky. Instead of letting the dough rest for a final 30 minutes on the counter, I did what I usually do – and put it to sleep overnight in the fridge. This cold fermentation of the dough fits much better in my schedule than doing it all on one day. Though I like baking in the morning, I don’t want to get up in the wee hours, so I prepare everything the day before, and only have the shaping and baking left to do. 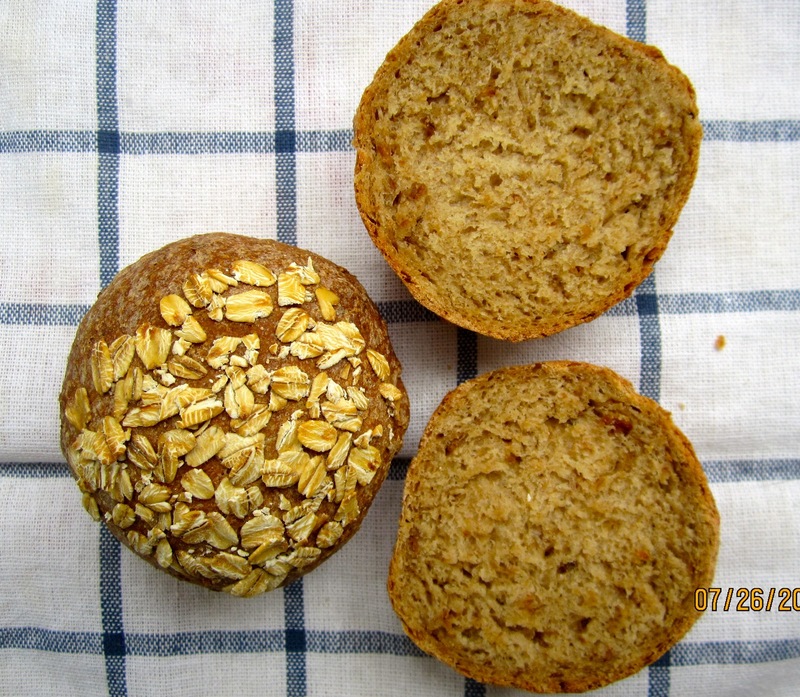 Having to choose between large sandwich rolls (à 235 g a piece) or smaller dinner rolls, I opted for the more petite version – 12 rolls à 92 g.
The recipe suggests rolling the rolls first over wet kitchen paper towels and then in oat flakes. I didn’t read the instructions thoroughly, and, therefore, dunked only the tops in the oat meal. They tasted just as good as they looked, a semi-soft crust with a little crunch, and a hearty, somewhat nutty flavor. 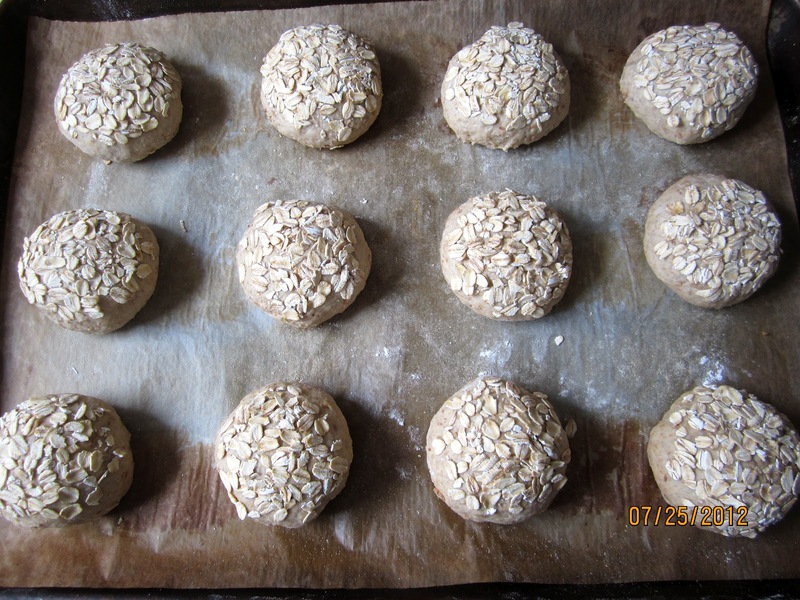 I have made these rolls with rye flour and brown ale, whole wheat and stout, as well as spelt flour and a rather hoppy ale. All versions tasted excellent, spicy and slightly sweetish. In a saucepan, bring beer and toasted oats to a boil over medium heat. Remove pan from the heat, add butter and honey, stir until melted, cover, and let cool for ca. 30 minutes. Mix flours, yeast and salt together in large bowl. 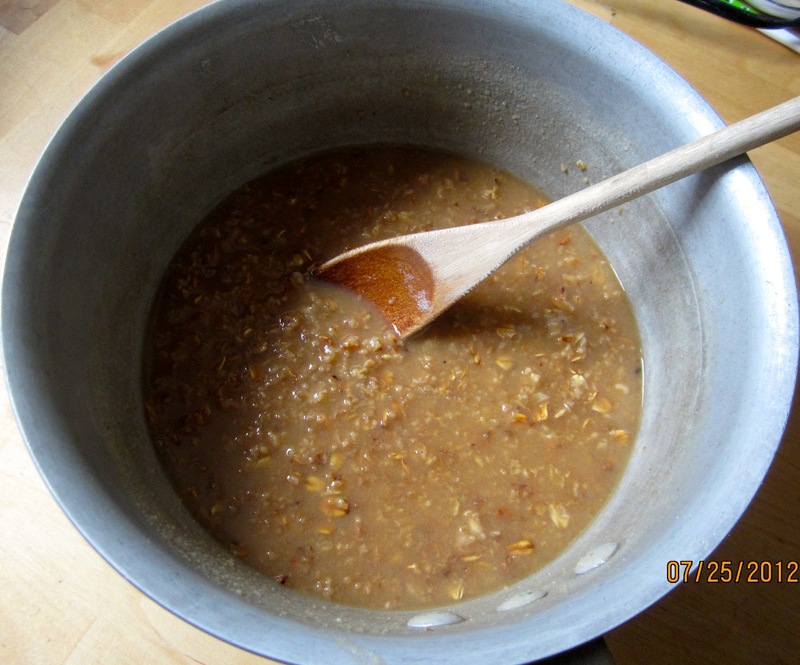 Add lukewarm oat mixture and stir with your fingers, adding a little cold water if needed to make a soft, somewhat sticky dough (hand mixing gives you a better feeling for how much extra water you should add). Cover bowl and leave for 10 minutes. Transfer dough to lightly oiled work surface, and, with oiled hands, gently knead it for 10 seconds. Scoop dough back into bowl, cover, then repeat the light knead 2 x more at 10-minute intervals. Place dough in oiled container, cover and refrigerate it overnight. (At this point I divide the dough into 2 portions). Transfer dough to lightly floured work surface. Divide it into 12 pieces. Shape into rolls. Place sheet of wet paper kitchen towel on one dinner plate, and rolled oats on another, then roll each roll first across wet paper and then through oats. Place on parchment lined or perforated baking sheet, cover, and let rise for 45 – 60 minutes, or until they have grown by 1 1/2 times their original size. Bake the rolls for 12 minutes, rotate, (remove steam pan if using) and continue baking for another 13 minutes, until golden brown. http://bunfiles.breadstorm.com/bunfiles/RWY79E/PB8KYQ/embed.html Post updated 9/6/14 to include formula and BreadStorm downloadable file. As tasty as they look – freshly baked Alehouse Rolls. Previous Post APRICOT-PLUM GALETTE – A CURE FOR "PIE ANXIETY"
Lovely rolls! 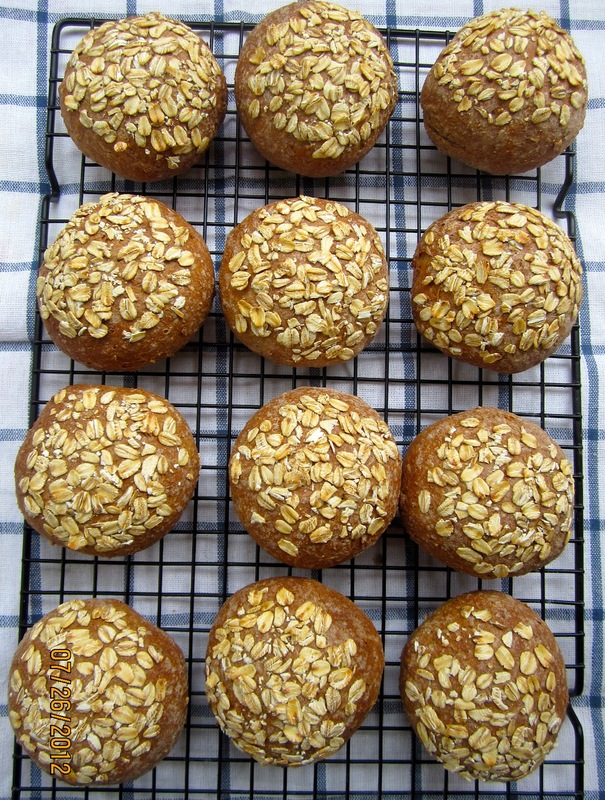 I love breads with oats and sesame seeds on top! And have not ventured into baking with ale just as yet! Have heard of Dan Lepard's fantastic breads, but have not tried any yet. I have bookmarked so many of his recipes!! Your rolls are perfectly baked! Thanks! You should try them. Dan's recipes are usually very well explained and I made several that were published in the weekend edition of the “Guardian”.